A new study for live music has revealed the most active scenes in the UK, Getintothis’ Rick Leach ponders from in the pit – and what about Liverpool? 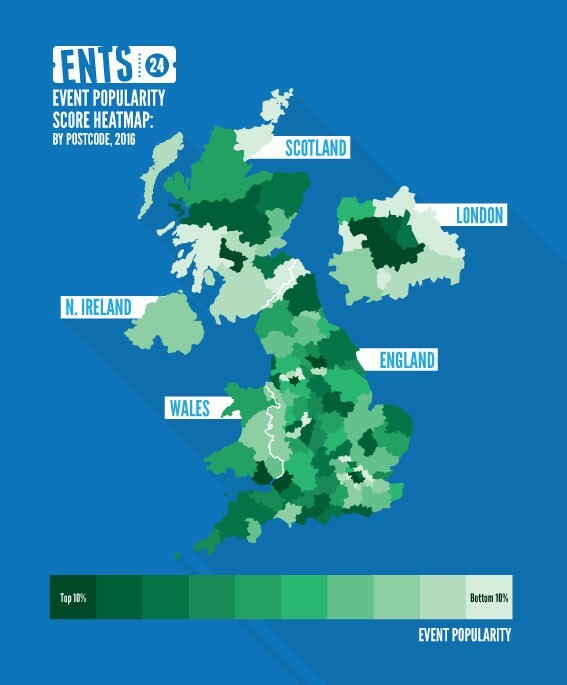 The UK’s most active live music scenes have been revealed in a new study from Ents 24, who have compiled data from millions of live music fans, tens of thousands of gigs and 20,000 UK venues, coming up with a top 10 of the country’s most vibrant scenes. With a bit of technical wizardry, they assessed which gigs and which areas are the most active across the country; initially by region and then by postcode. Further refinements to the data, factoring in popularity for shows in each postcode area and weighting it for population density, provided a definitive top 10 list. While London topped the chart and Liverpool ranked in 9th place, the analysis of the date provided some unanticipated surprises. The most lively scene outside of London was Manchester. 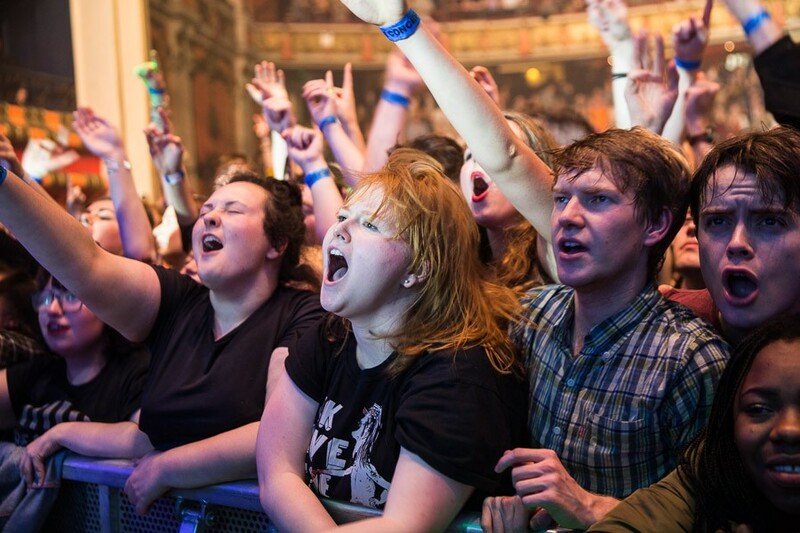 Since 2005 over 13,000 music fans tracked events on the Ents24 site, with venues such as Manchester Arena, O2 Apollo, Academy and The Ritz proving most popular. Brighton, with a high number of live venues (439) relative to its size and host of The Great Escape, was 8th in the chart while Wolverhampton, despite its proximity to Birmingham, managed to make 10th place, with three well-known and often-visited venues, The Civic Hall, Wulfrun Hall and the Slade Rooms proving vital in Wolverhampton’s success. Bristol, Cardiff, Glasgow, Leeds and Birmingham also make the Top 10, although Nottingham (14th), Edinburgh (19th) and Sheffield (20th) were placed surprisingly low. Satellite towns fared badly and of the bottom 20 in the list, eight were from the Greater London postcode area, two were from the West Midlands (Dudley and Walsall) and two were from Greater Manchester (Oldham and Wigan). Even Luton, with a population of 200,000 and lying over 30 miles from London, failed to make the list, not having a single venue on the national circuit. This study sheds light on where artists’ shows are more likely to take place, with the busiest and most popular venues now verified on a factual basis, with data available on which postcode areas provide the largest number of venues to choose from. This could inform touring decisions such as how viable two neighbouring tour stop-offs would be – if one is likely to be less busy than another – and which cities international artists may concentrate a limited number of UK dates upon. It’s not just for the music industry either; as live music fans, this data can also inform our choice of cities to live, work, or study in.